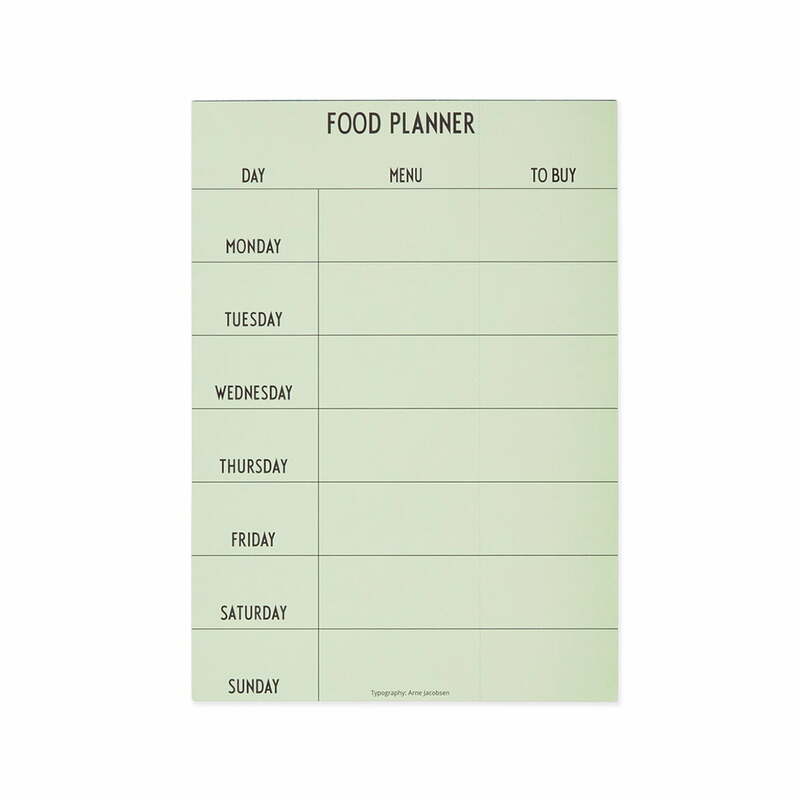 Thanks to the Weekly Food Planner by Design Letters, meals can now be planned ahead—which means: one less thing to think about after a stressful day! The Planner includes a total of 52 weeks, one per page for the whole year, in order to plan each week perfectly. In different columns you can note what your want to eat and what needs to be bought to create this meal. The "To Buy" column can be torn off to use as a shopping list. 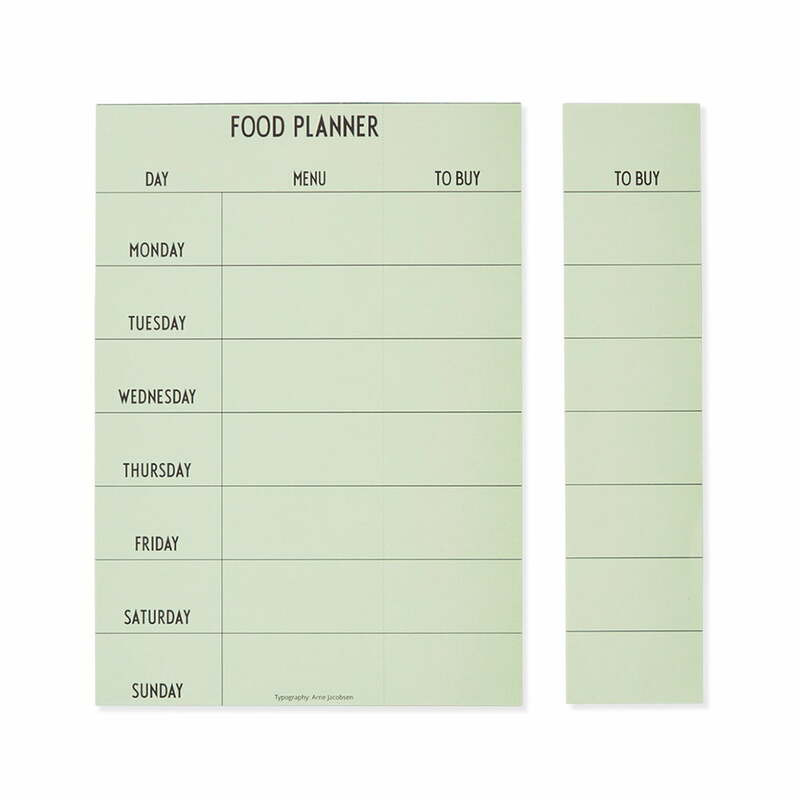 The distinctive letters which adorn the Weekly Food Plan by Design Letters come from the danish designer Arne Jacobsen, who originally designed the typerface in 1937 for the Aarhus Town Hall. Since then, the numbers, characters and letters have found their way onto a wide range of home accessories, textiles, office supplies and toys from the Design Letters Collections, which can be used anywhere in the home, from the study to the kitchen. 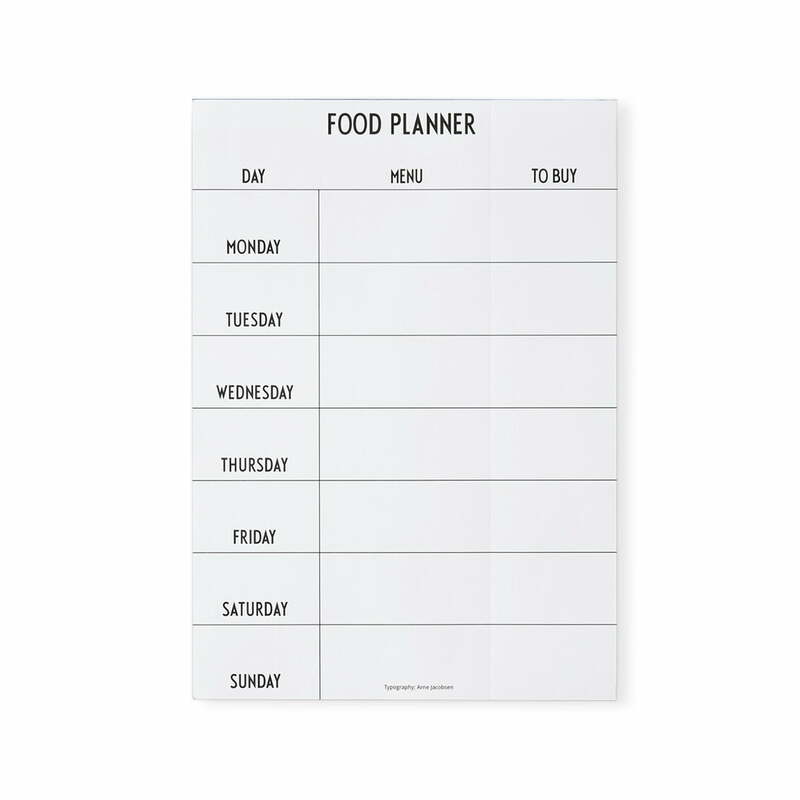 The striking letters that decorate the practical Weekly Food Planner by Design Letters in white are from the pen of the Danish designer Arne Jacobsen. With the Weekly Food Planner by Design Letters, you can plan your meals ahead, so that you have one less thing to think about after a stressful day. The Planner includes a total of 52 weeks, one per page for the whole year, in order to plan each week perfectly.